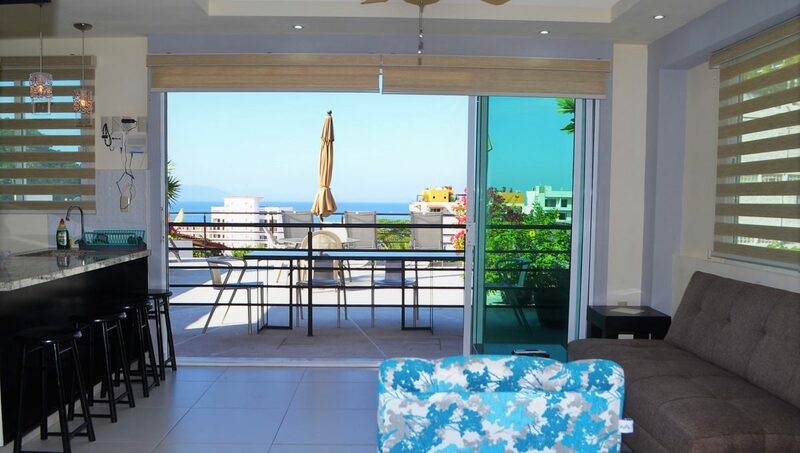 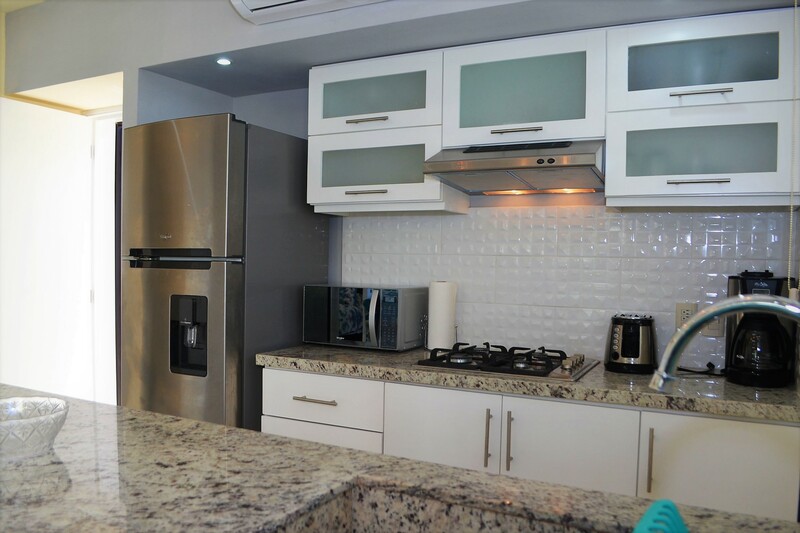 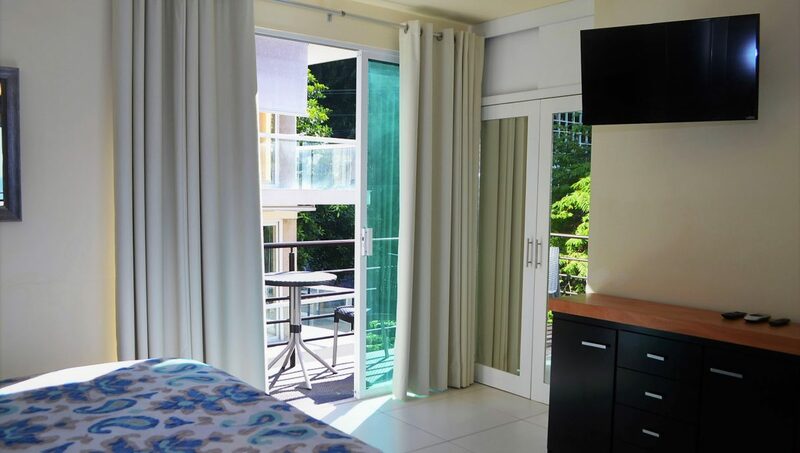 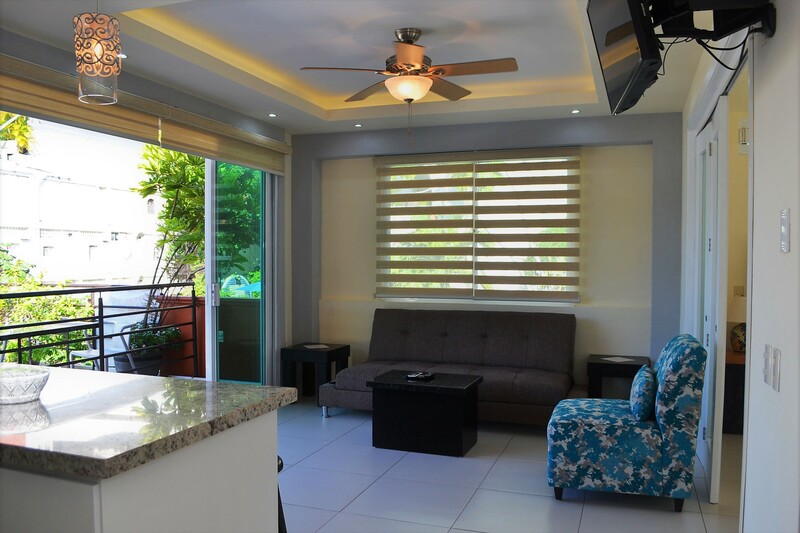 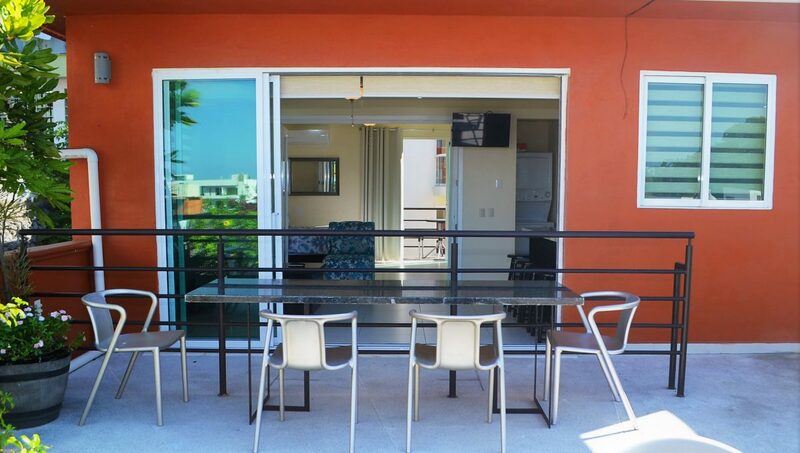 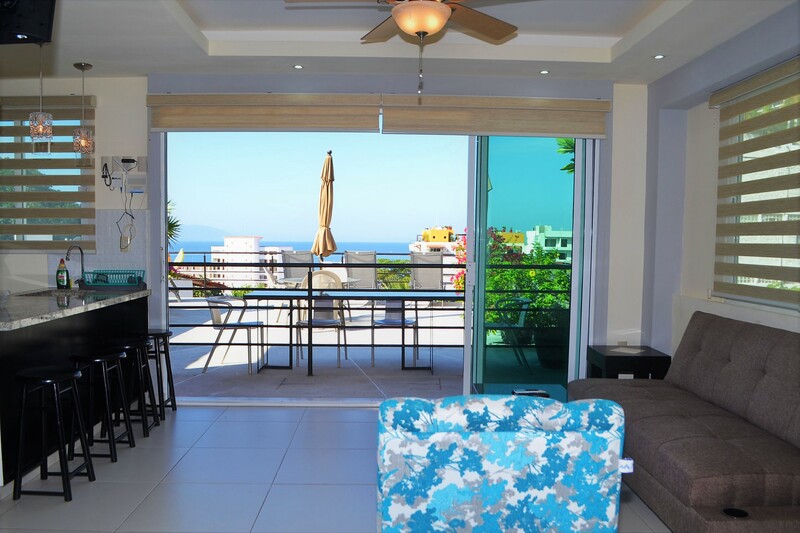 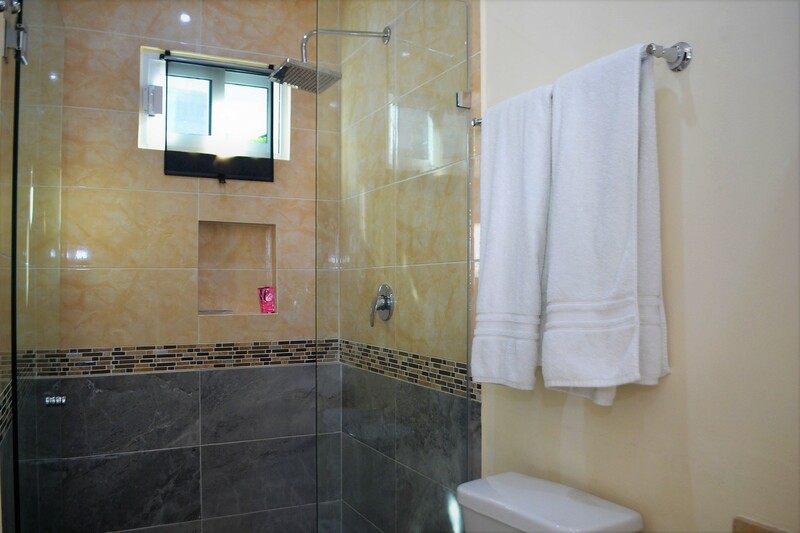 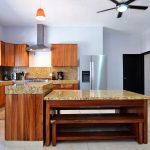 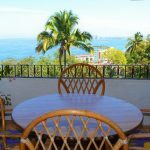 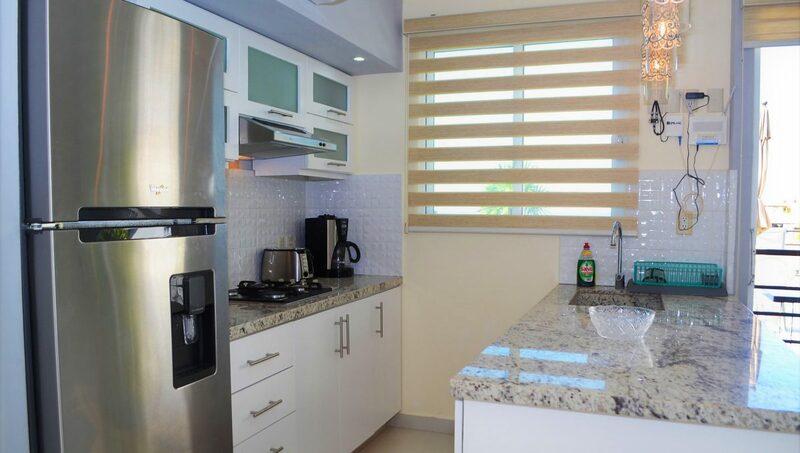 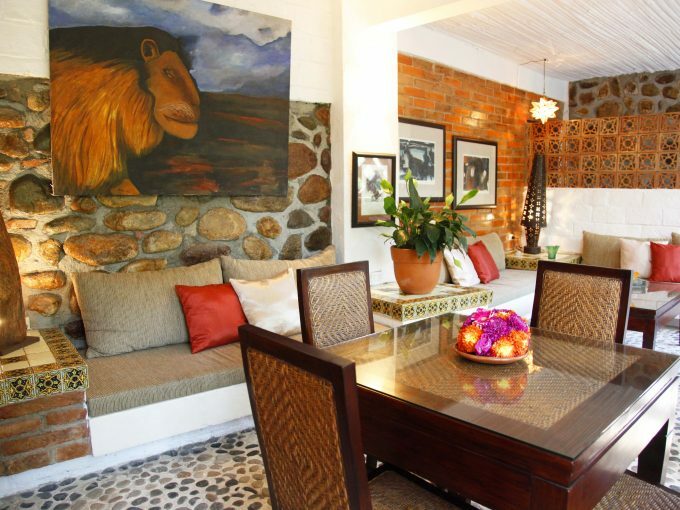 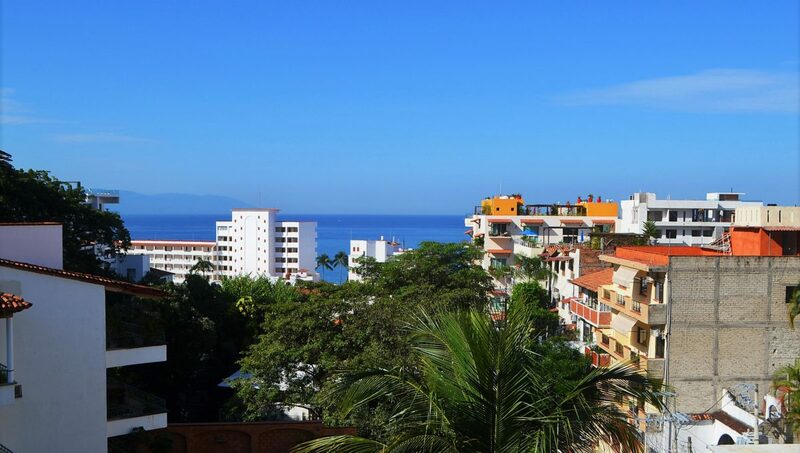 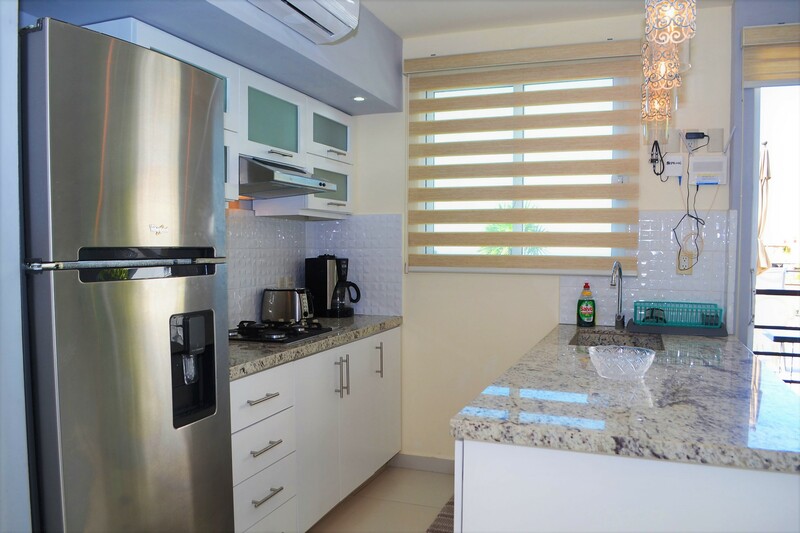 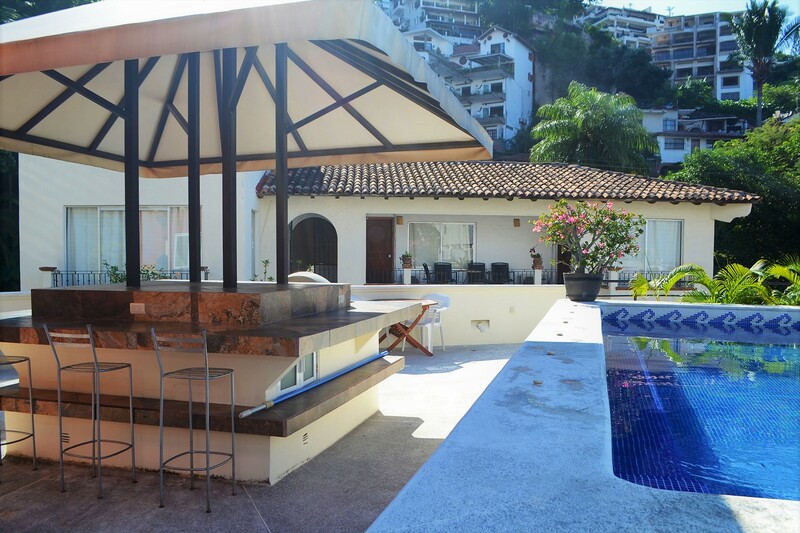 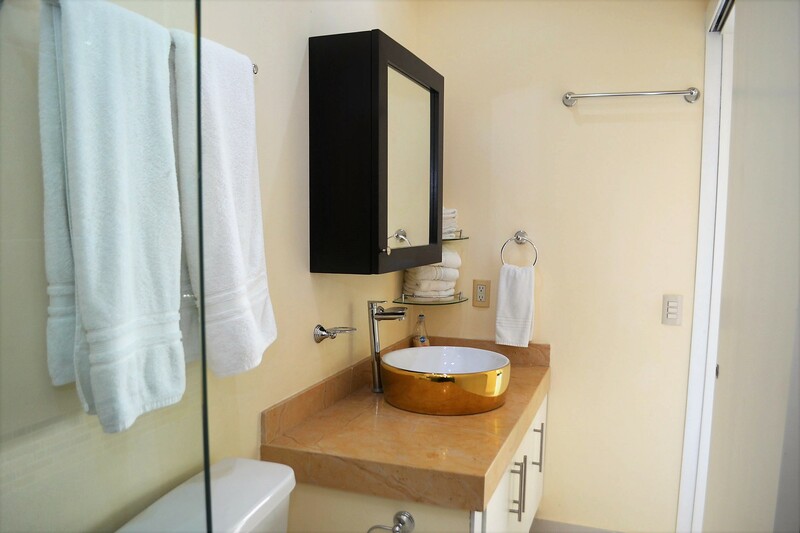 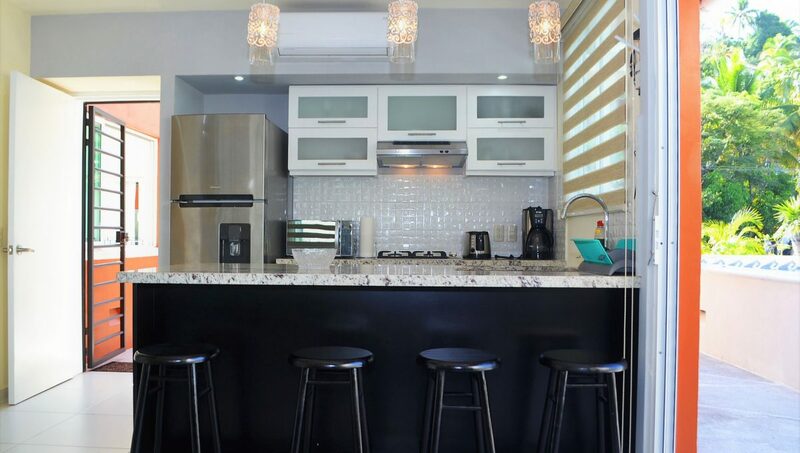 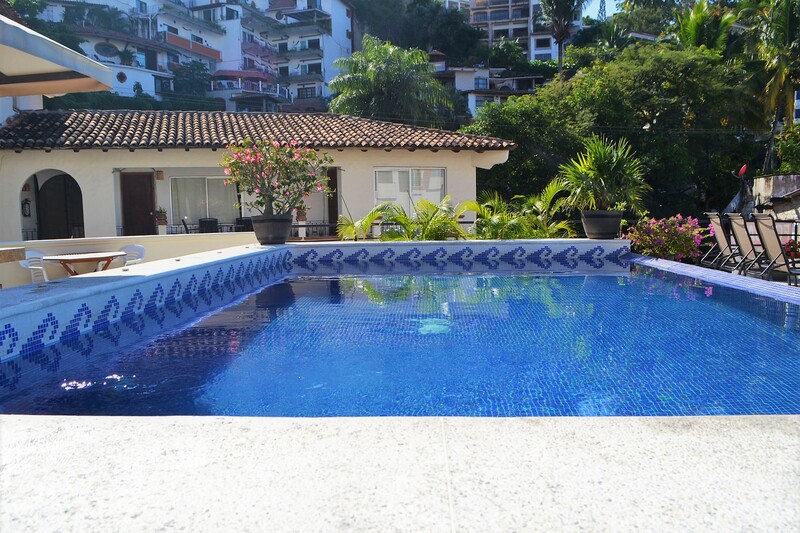 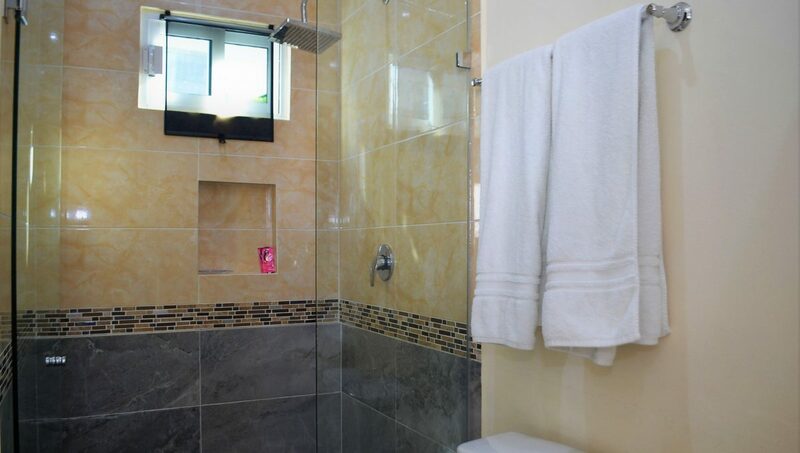 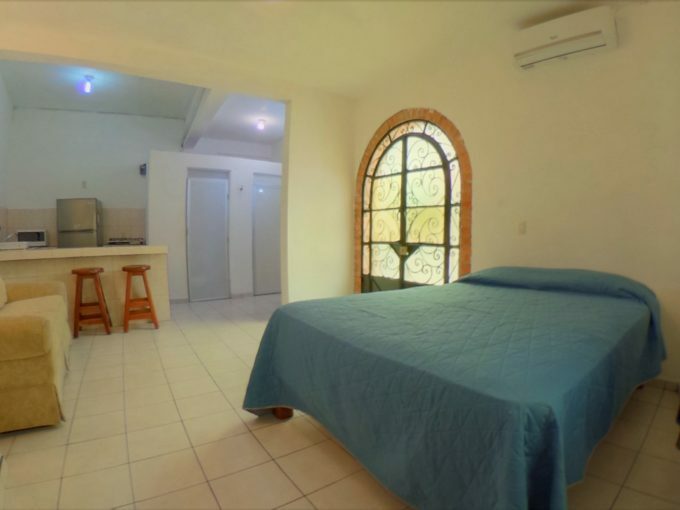 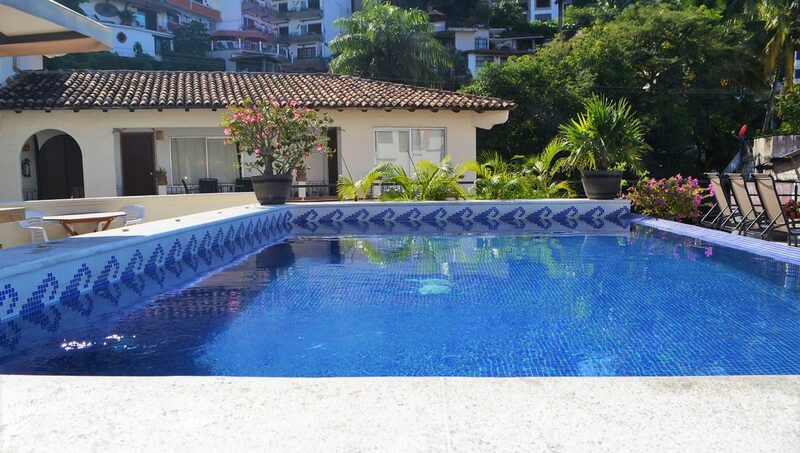 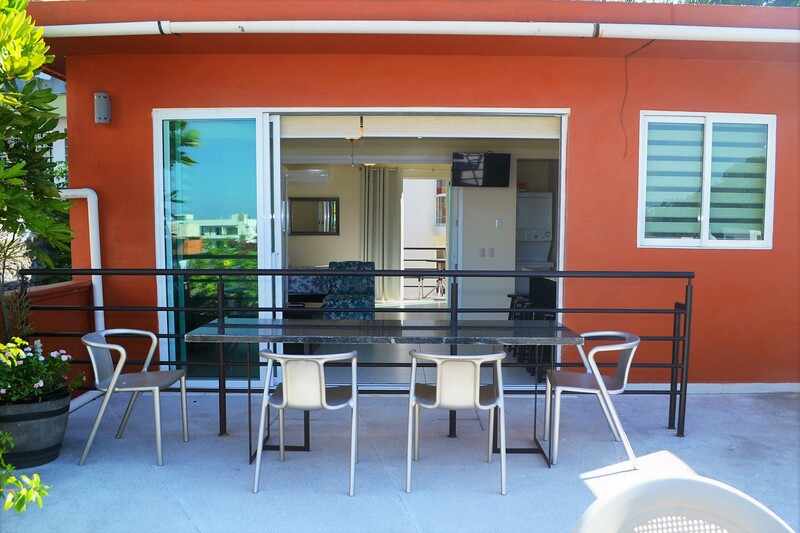 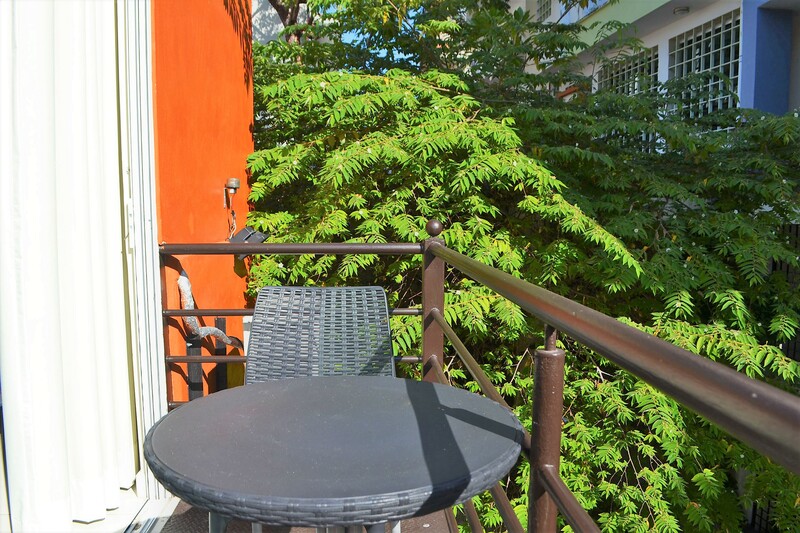 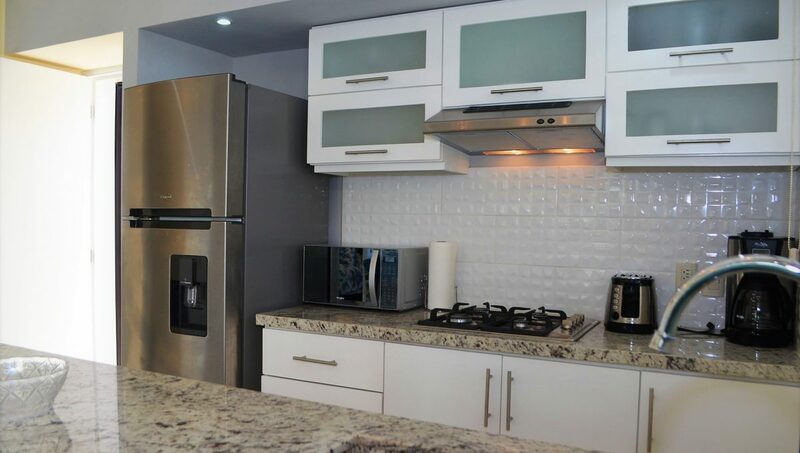 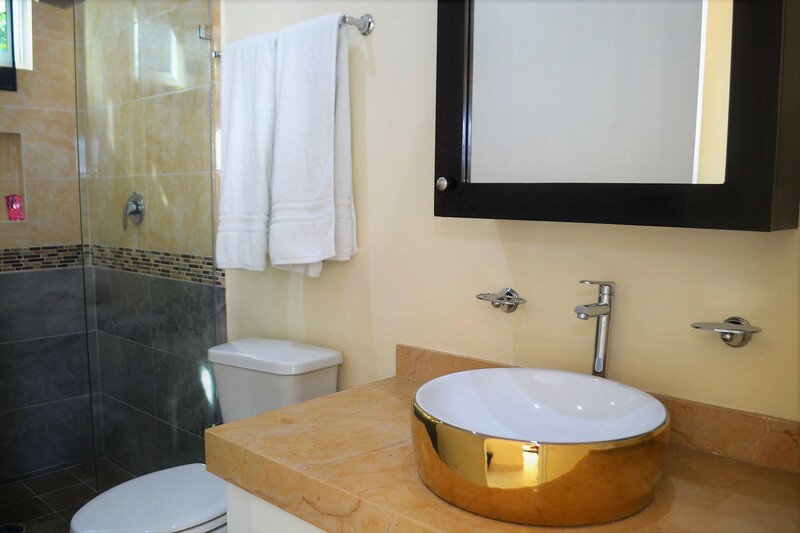 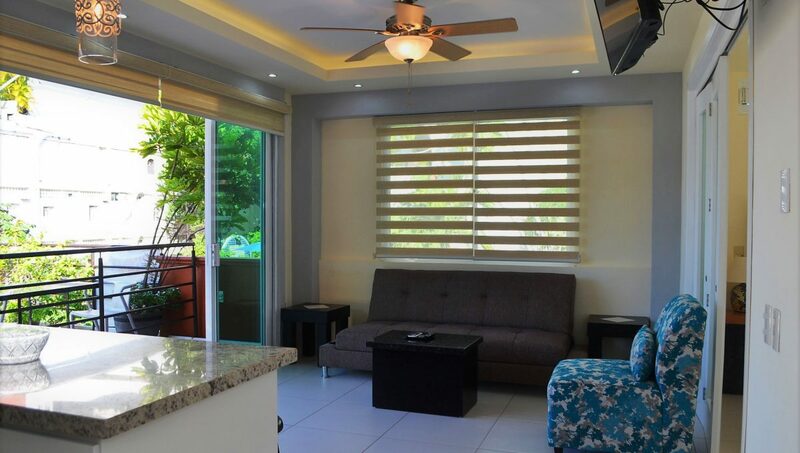 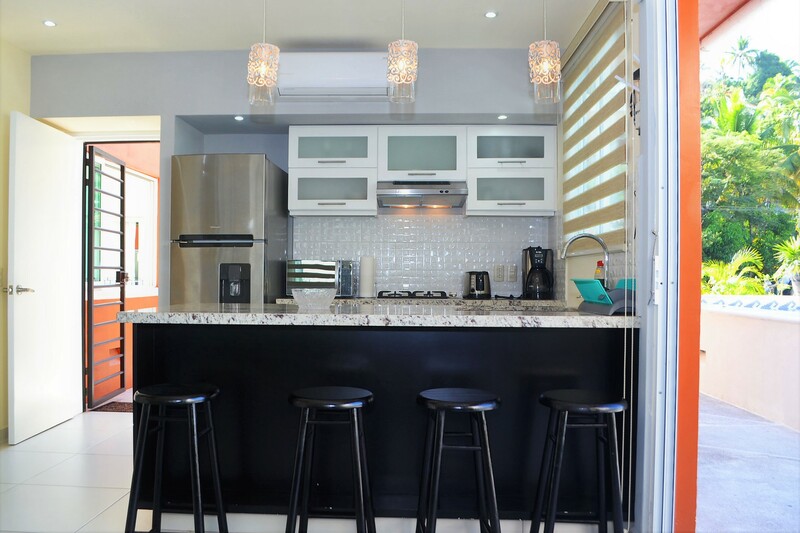 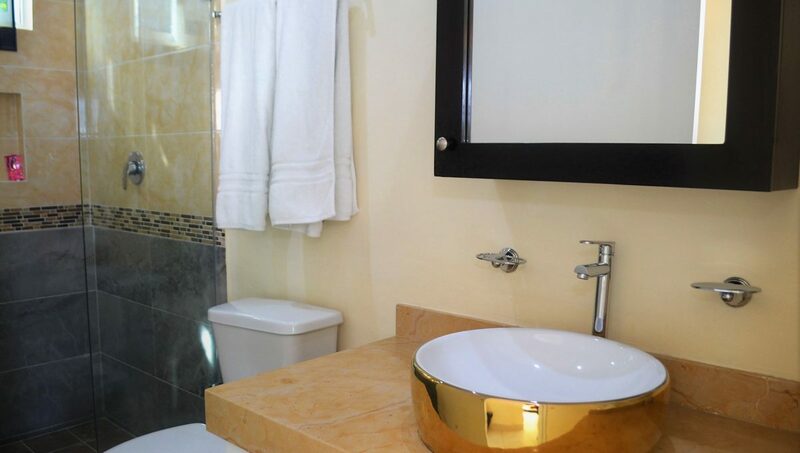 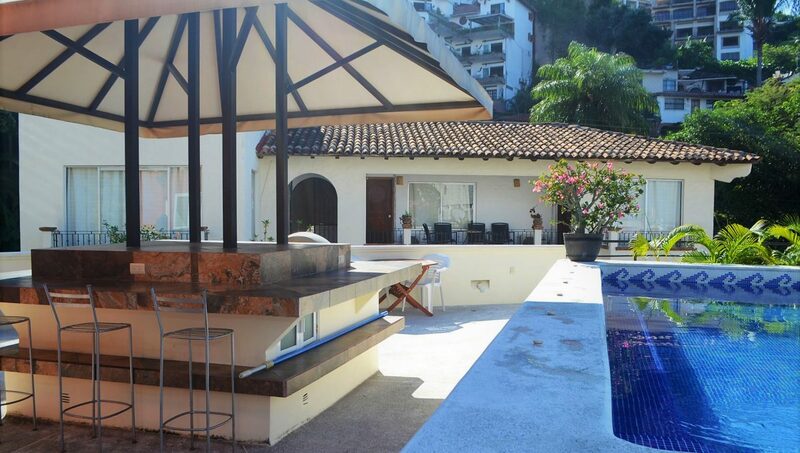 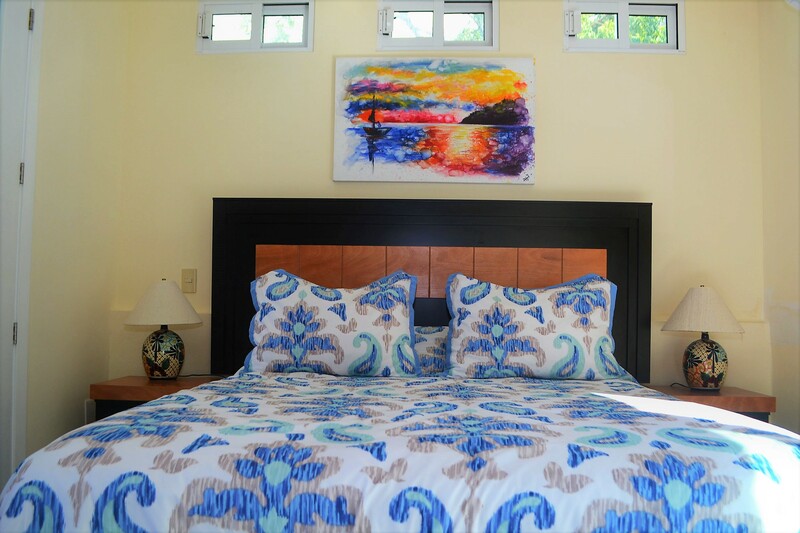 Built in 2017, brand new, well appointed, open air concept, 1 bedroom, 1 bath penthouse condo in the heart of Puerto Vallarta’s most sought after neighborhood; Zona Romantica, a gay and family friendly, English speaking area. 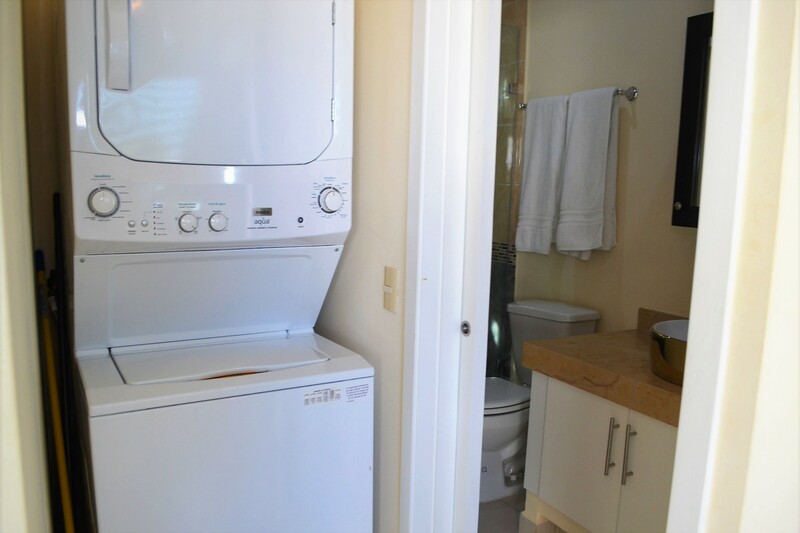 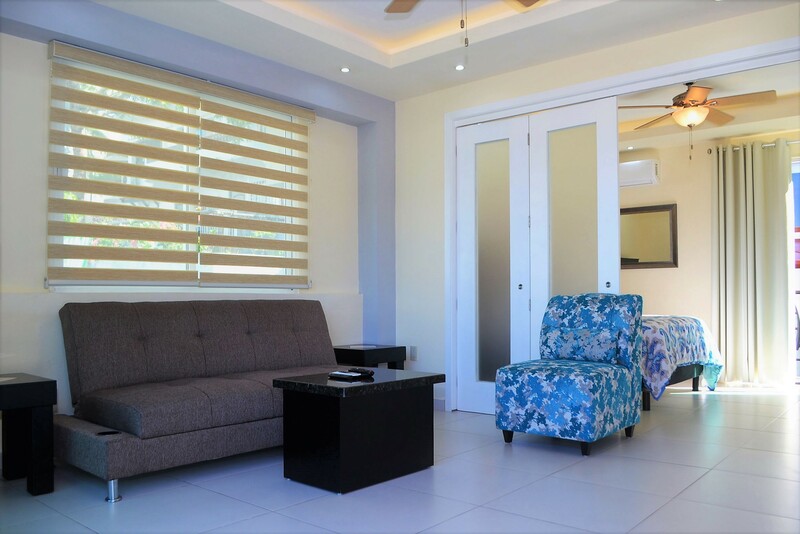 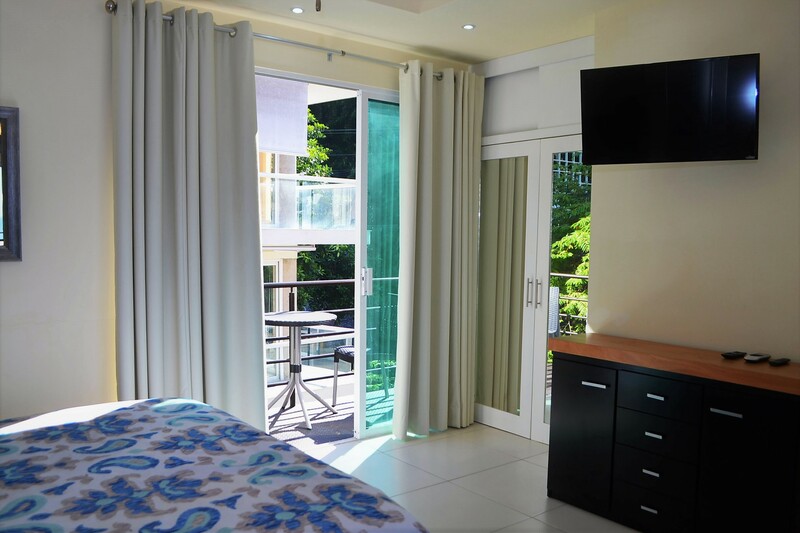 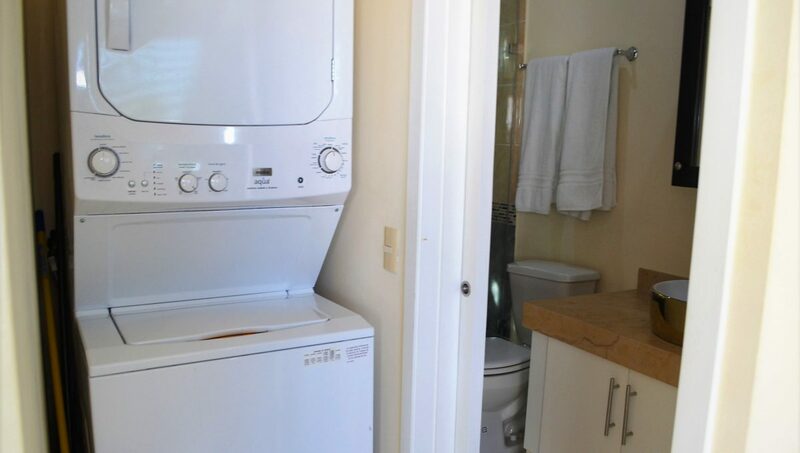 In unit amenities include a bar area for dinning and use as a work station, wifi, flat screen TVs in living room and bedroom, fire stick streaming, ceiling fans in bedroom and living room, high efficiency wall-mounted AC´’s in living room and bedroom, in unit washer and dryer. 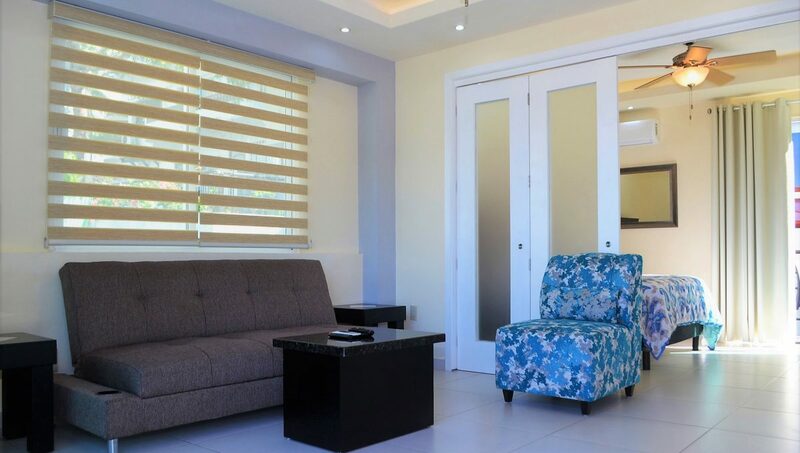 Full sized sofa bed in living room comfortable for one adult or two children. 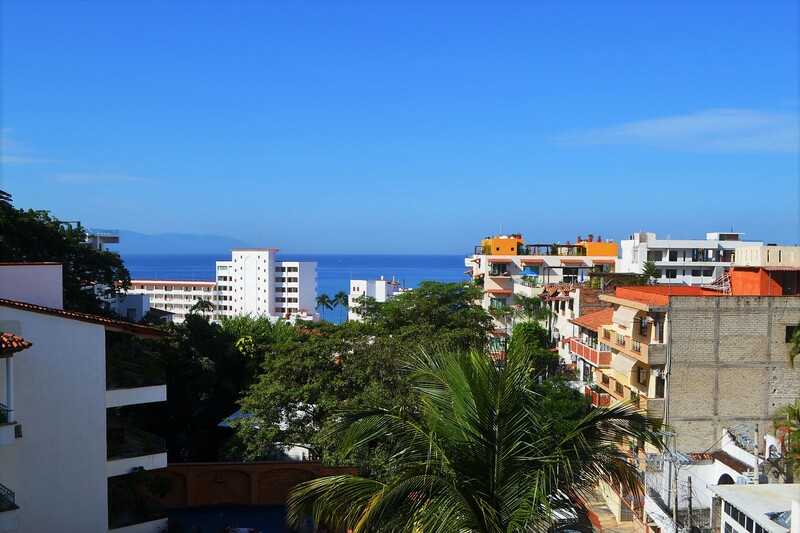 Located only 2.5 blocks to Los Muertos Beach with no stairs to worry about. 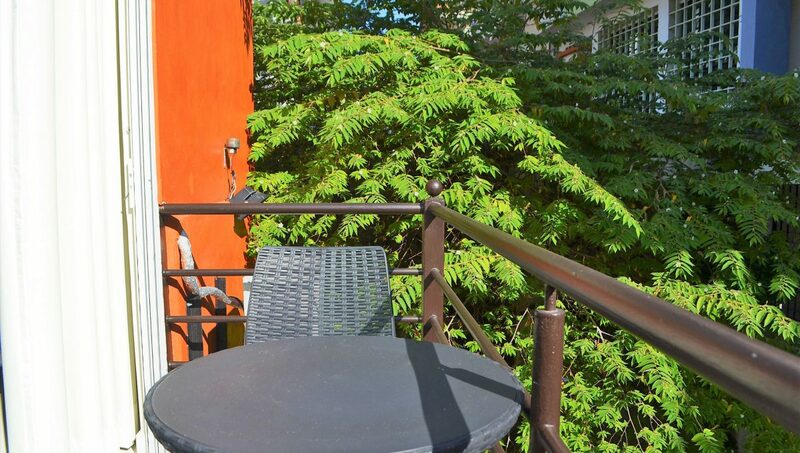 Five floors up from a babbling brook. 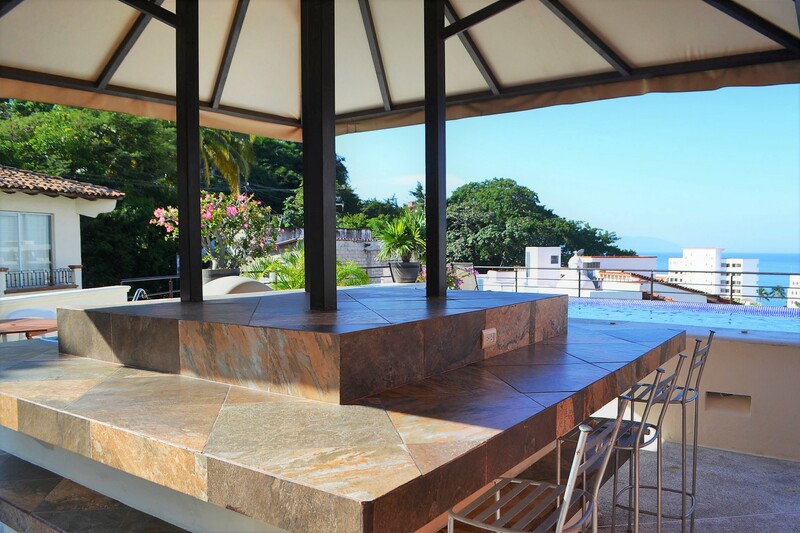 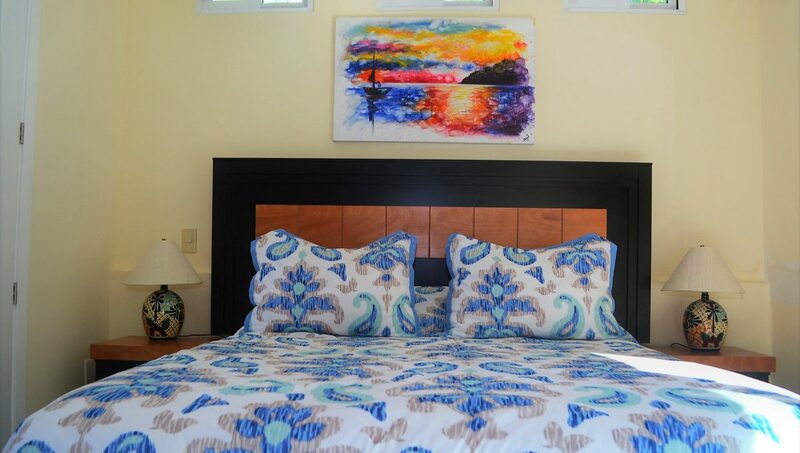 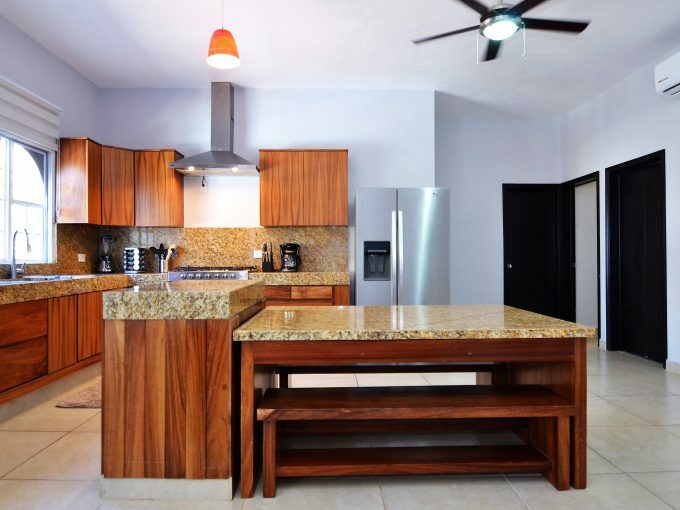 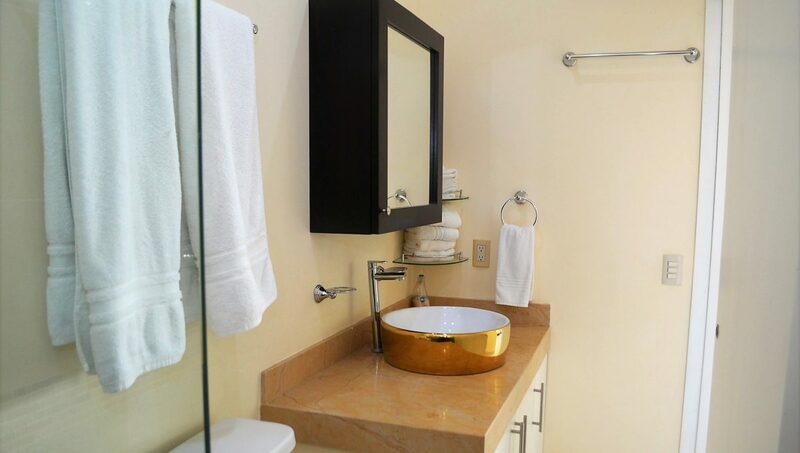 Unique penthouse unit with 360° views of Ocean, Mountains and Olas Altas neighborhood. 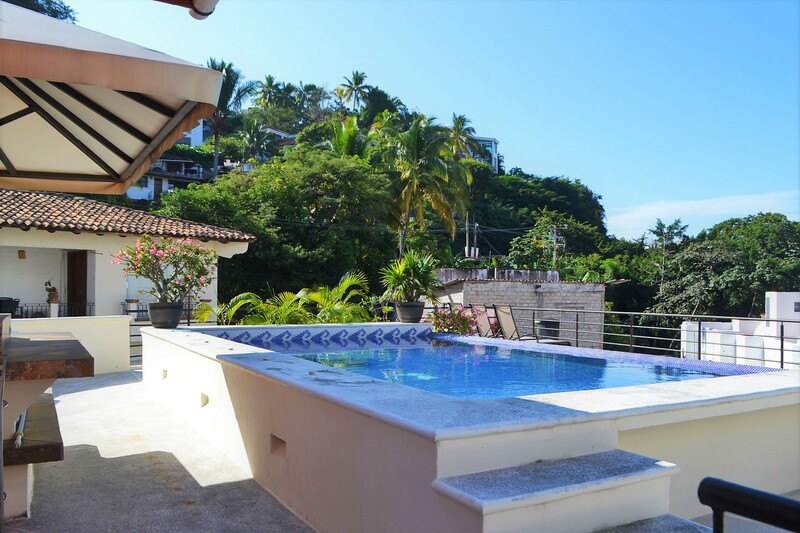 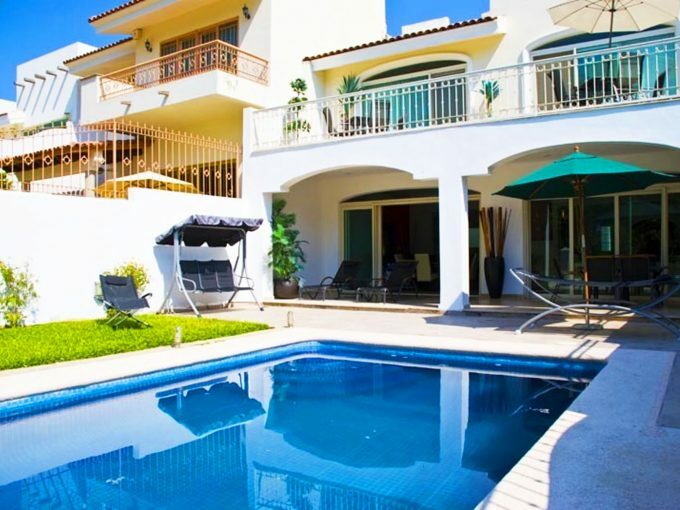 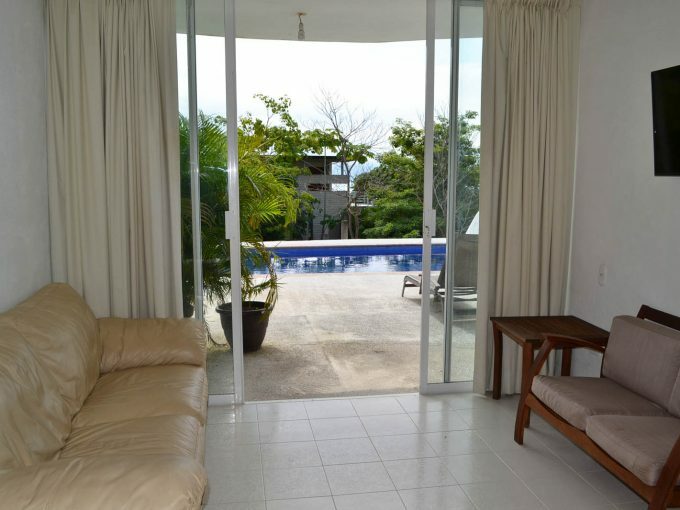 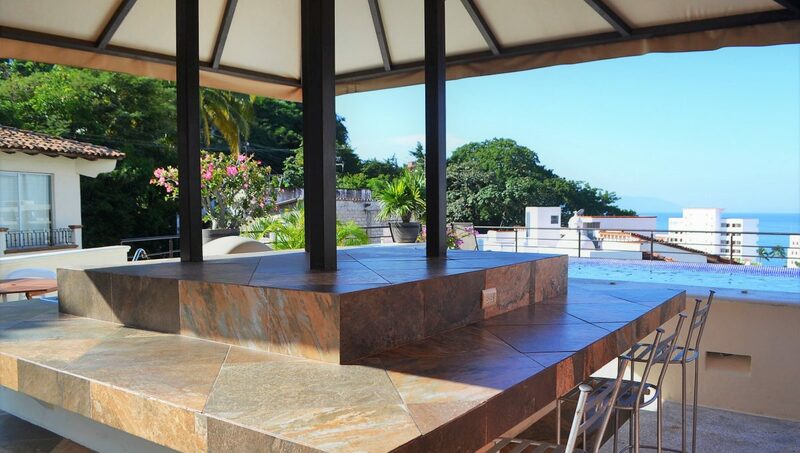 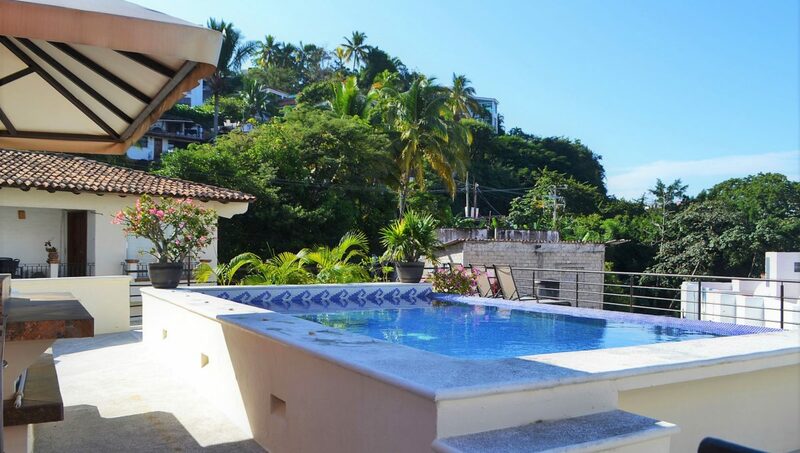 On pool deck with direct access to pool, bar and grilling area and sundeck with additional stunning views of Sierra Madre Mountains, City Scape and Banderas Bay.